Thank you Scott for the beautiful photograph. Have a very Happy Spring! I love the way you have captured the light falling in angles, bits of shadow scattered about. The focus is on light for sure but one can not help but notice a tinge of something more. 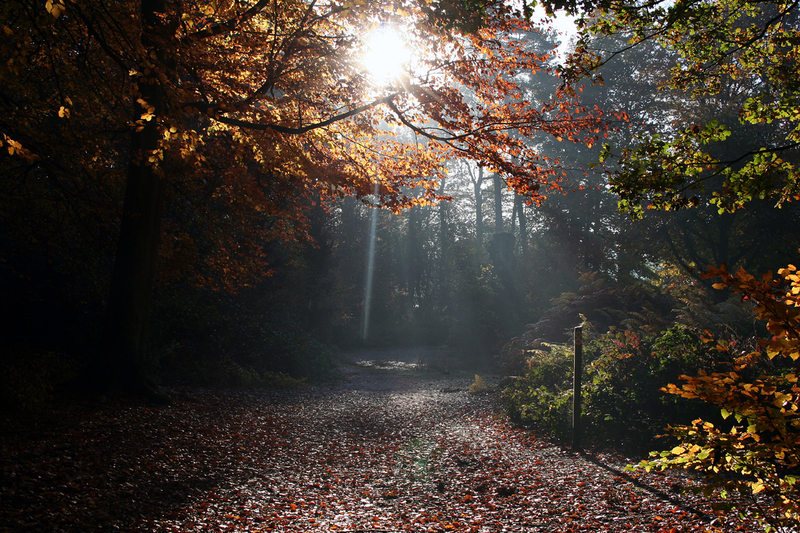 The shaft of light falling upon the ground attracts the attention, away from the sun shining through the gap in the foliage. Scott, I can envision meeting Merlyn strolling along this path. What amazing conversations would the old magician conjure on such a fanciful morn? This picture is amazing. As I look, the circle of light with the sun’s rays penetrating, reminds of a place where I could go, step into the circle and talk to God. Thank you for posting. With your permission, I would love to use this image in one of my inspirational poetry pieces. My very best to you always. The beautiful colourful autumn. I love it!